Because this New Moon is in the sign of PISCES, it’s a powerful time for new beginnings in feeling more loving and taking steps to release any self-destructive habits of addiction. Progress you may have wanted to happen in your life for a long time can begin easily manifesting through using the boost of this powerfully trusting New Moon. 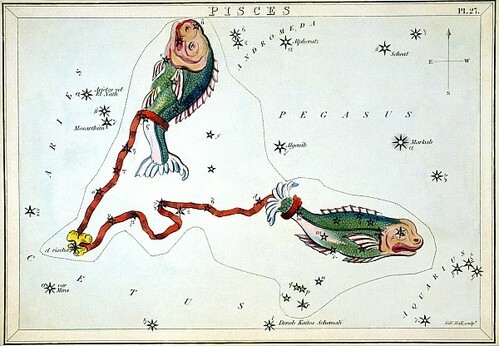 PISCES opens in us an awareness of using the strength of connecting with a Higher Power to help wishes in coming true. These times are in Pacific Standard Time. I love getting this information from my super special friend Jane Anne. I know I talk about this a lot, but I feel it is so true, and have seen it work. I think writing your wishes or intentions is so powerful and just amplifies them. It is a way to say, "OK universe, this is what I want in my life..."
Jane Anne does amazing readings: Love Cards, Totem Animal readings, Destiny Card Spread... among others. She is very intuitive and talented and I would highly recommend her to anyone interested. In the past she has gifted a Totem Animal reading and a Destiny Card Spread to me, both were amazing and insightful, and full of information I use all the time in my life. She will have a website up soon, but in the mean time if you are interested in a reading you can email her at dianasbow [at] gmail [dot] com. Sending lots of love and new moon magic to you all! i have been waiting for this moon and i'm grateful that it has arrived! thanks for this thoughtful and insightful post. love it. I wanted to say thanks so much for the post on the new moon! Very magical. I am a friend of Gilda and Stefani and saw your interview on A Collection Of. thanks JOANNA! i hope all you wishes come true! i know they will! and hello Angela! thanks for commenting and introducing yourself! and thank you for reading my interview on ACO and looking at my art and blog! that is wonderful that you have seen David! it makes me so happy that others are resonating with his work! it has transformed my life! enjoy your session if you see him again soon!